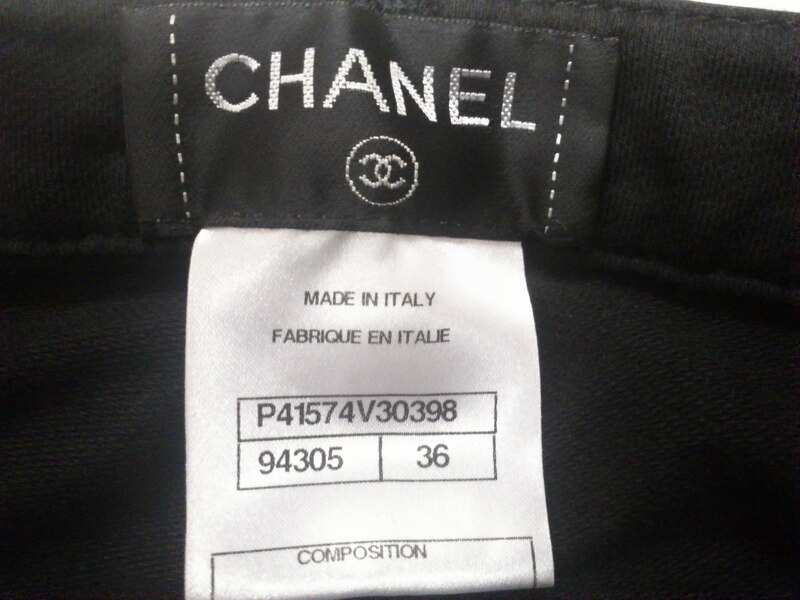 Italy size 36, see below for actual measurements. 2 front side pockets (with one mini pocket). 2 back pockets - one with Chanel logo embroidered, each back pocket has a Chanel stud button. Belt hoops. Zipper front with black enamel Chanel button. Straight/skinny leg.